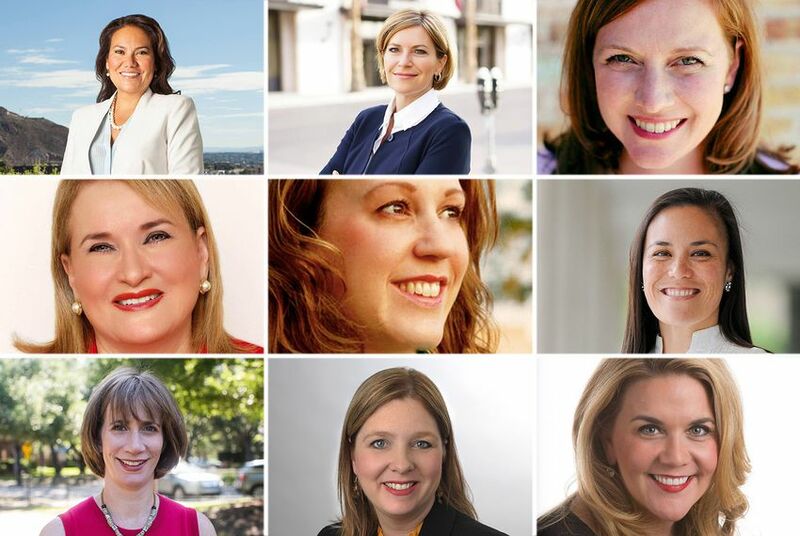 Dozens of women from Texas are running for Congress this year, and several are drawing attention as serious contenders, prompting predictions that the state will elect the first freshman female to a full term in Congress in 22 years. Eighteen months and several political lifetimes ago, U.S. Rep. Sheila Jackson Lee held court at a table at the Democratic National Committee Texas delegation breakfast in Philadelphia. Just hours before Hillary Clinton was set to become the first woman to accept a major-party nomination for the presidency, Jackson Lee conceded she was "worried ... but not panicked" about the advancement of women in politics in her own backyard. The Houston Democrat's concerns stemmed from being one of just three women in the 38-member Texas delegation. The prospects of other women stepping in once all three retired, let alone expanding their ranks, seemed dim. Fast forward to 2018, and Jackson Lee is no longer worried. In fact, she's elated. Thanks to the polarizing response to Donald Trump and a rash of retirements in the delegation, women are coming out of the woodwork to run for federal office in Texas. “It is a lifetime ago, and I’m glad I said what I said,” she says now. “I didn’t realize our work would be so accelerated, but it has." “I consider young women fixer-uppers — they come in when the country is in desperate need for common sense, for spunkiness, for strength, for nurturing and for knowing how to bring peace in the middle of discord," she added. For more than two decades, Jackson Lee has been part of a trio of women representing Texas in the U.S. House along with Democratic U.S. Rep. Eddie Bernice Johnson of Dallas and Republican U.S. Rep. Kay Granger of Fort Worth. Each of the three women was elected in a succession of cycles from 1992 to 1996. Joining them in 1993 was U.S. Sen. Kay Bailey Hutchison, who became the first woman elected to the Senate from Texas. Despite the Trump effect being seen across the country, the main reason so many women are running in Texas this year is the recent rash of vacancies of Texans in Congress. Most were retirements, but U.S. Rep. Beto O'Rourke created a vacancy in his heavily Democratic El Paso-based 16th district when he announced his run for U.S. Senate. Former El Paso County Judge Veronica Escobar and former El Paso School Board President Dori Fenenbock are the best-funded candidates aiming to succeed O'Rourke, and former state Rep. Norma Chavez threw her hat into the ring just before the December filing deadline. Escobar and Fenenbock both cited the same reason as contributing to their decisions to run: Their children are old enough that they felt comfortable making the Washington commute without creating disruptions in their families. Another potential future congresswoman is state Sen. Sylvia Garcia, a Houston Democrat who is seeking retiring U.S. Rep. Gene Green's 29th District seat and has drawn Green's endorsement. She faces a crowded field in a Democratic primary that will likely determine the outcome of the election. Houston political insiders say that, while there are no assurances, Garcia is in the driver's seat for the nomination. "Certainly, in D.C., there's an awareness that there's a lot of movement in female-held seats," Sarver said. "While a lot of that movement is upward, some of that could be a loss of female members [in the U.S. House.]" A number of the Democrats running attended their local Women's Marches last year following Trump's inauguration. Former Air Force intelligence officer Gina Ortiz Jones is running for the Democratic nomination to take on U.S. Rep. Will Hurd, R-Helotes, in the most competitive seat in the state. Jones served as a crossing guard at the national Women's March in Washington that day. "I knew after the election that night, I knew my time in public service would be different," she said. Jones recently earned the endorsement of EMILY's List, a Democratic fundraising juggernaut that backs female Democratic candidates who support abortion rights. That so many women are running – some in the same primaries – has created a sticky situation with the group, which has also endorsed Escobar and Lizzie Pannill Fletcher of Houston, both of whom are running in competitive primaries that include other women. Fenenbock called EMILY's List decision to endorse her primary opponent "extraordinarily frustrating." "They’re getting a lot of phone calls about this race," she added. And for the women hoping to take on Sessions, Culberson and Hurd – three Republican incumbents drawing strong attention from Democrats this year – it's worth remembering that incumbents keep returning to Congress year in, year out for a reason: They know how to win in their districts. "I am a conservative who happens to be a woman, not a conservative running as a woman, and I’m honored by the overwhelming support I’ve earned across all 7 counties in the short period of time since announcing my candidacy," she wrote in an email. Congress just sent a massive tax cut bill to Trump. Here's how Texans voted.